Which means that people who are allergic or “sensitive” can suffer serious and life threatening effects from substances at well below 100 ppm, and we still won’t know what is causing the symptoms, or what we need to avoid to stay alive. This plan may help people who aren’t knowingly or immediately affected by fragrance exposures to choose their products more wisely, but it doesn’t go nearly far enough to help those of us who are disabled by or have life threatening reactions to their products. Unilever’s fragrance transparency is a major green-wash at 100 ppm, when gluten-free has to be below 20 ppm, and people with isothiazolinone (aka MI) allergy react to as little as 3 ppm, perhaps less. Also, long-term health limit for fumes from dry-cleaning solvents has dropped from 20 parts per billion to an infinitesimal 2 parts per billion because long-term exposure to even very low concentrations can result in cancer, as well as fetal development problems for pregnant women. I wonder if they will also disclose the ingredients used to encapsulate the fragrance ingredients that make them longer lasting? Or if they will also be developing any methods to remove all traces of their products for those of us who suffer debilitating adverse effects from them? “It is news when said inappropriate Axe use causes a school-wide shutdown. ‘Proprietary Ingredients’ Should Not Come Before Children’s Health. Ever. Brandon’s family repeatedly asked Unilever to reveal the ingredients in AXE to figure out what was landing him in the hospital, and Unilever refused. 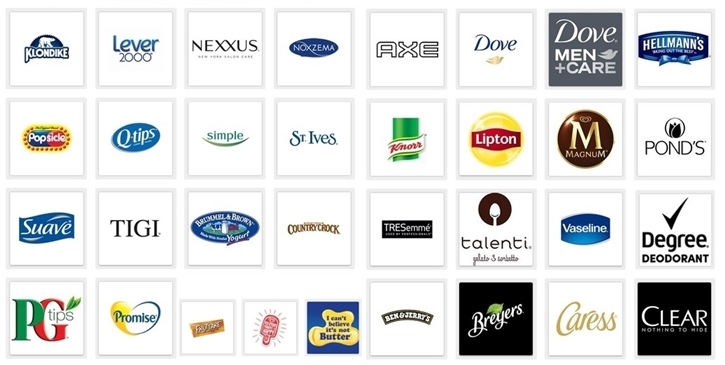 SO WHY IS UNILEVER DISCLOSING MORE INGREDIENTS NOW? 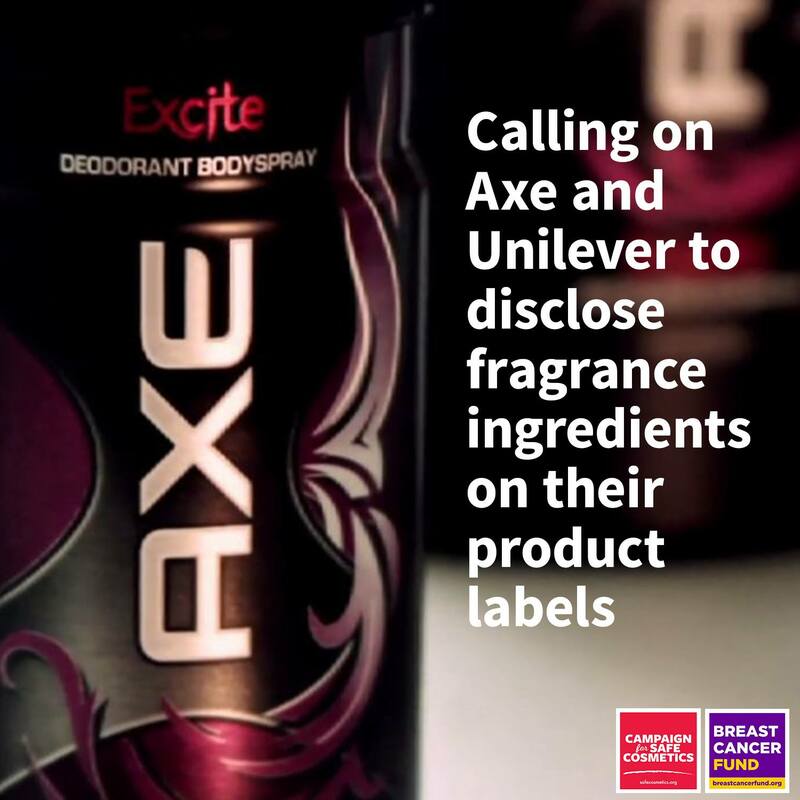 The Campaign for Safe Cosmetics and the Breast Cancer Fund ran a petition campaign asking Unilever to disclose the ingredients in AXE and their other products, and it was promoted by groups like U.S. PIRG, Women’s Voices for the Earth, STINK, among many others on facebook and elsewhere. Now, thanks in large part to the organizations mentioned above, and to everyone who signed the petitions, Unilever is revealing ingredients above 100 ppm, but since 20 parts per million (ppm) is the FDA standard for ‘gluten-free’, this new disclosure policy may or may not help Brandon and many others find out what is nearly killing them/us. The information will still NOT be on the labels, we will have to use a computer or wireless radiation emitting device to find out what ingredients they are revealing. Scanning the UPC barcode with the SmartLabel App. Imagine having to inhale something for well over an hour, something that can disable you for for days if not weeks, or could land you in a hospital within minutes of a small exposure, before the levels start to drop. In other words, it’s not that helpful as an assistive device or to address accessibility barriers. One might also wonder about conflicts of interest when a company that manufactures products that pollute the air and water, then sells products that filter some of the pollutants out. Let’s keep up pressuring them until their products are actually safe! P.S. If you are from Unilever and want to tell me that your products are safe and meet all regulations, then I invite you to send someone from upper management who can live in my slippers for a week. And watch STINK if you haven’t already. Be fragrance-free! It’s good for you! It’s good for me! This entry was posted in Air Quality, Chemicals, Environmental Health, Fragrance, Products and tagged allergies, asthma, AXE, chemical sensitivity, environmental sensitivities, Fragrance, fragrance chemicals, hazardous air pollutants, IAQ, MCS, petrochemicals, STINK, toxic chemicals, unilever. Bookmark the permalink. Great article! And we’ll made points! Had a look at the ingredients disclosed and very little that’s not on the label already. Axe/lynx should be banned it’s vile can’t believe anyone would voluntarily spray it on themselves – have we lost our minds and sense of smell completely! Find it especially hard as workmen seem to be pressurised to wear it and spray it before coming to fix things – scared of smelling like sweat! Have to wash everything touched after they leave as lynx stills like glue to everything…I believe companies already encapsulating ie in washing powder….just sniff a jogger who releases a toxic trail with ever step polluting parks and green spaces. Unilever need to be taken to task about the build up of ingredients from their products in our bodies and the allergic reactions. Even my groceries smell of it ..especially if shelf packers wear the stuff….keep up the great work ! We definitely need to keep up the pressure to have ALL ingredients on the actual label AND banning all ingredients that are toxic either alone or used in conjunction with other ingredients. It saddens me that we live in a time when the health of our children especially (and all humans) is not a priority to so many. Ignorance is not bliss. Education is the key to freedom from toxic oppression. Thanks for putting all the time and effort into this post when I know how difficult it is to have MCS and do this much research. Wishing you (and everyone) fresh air and good health. I saw so many people cheering about how great this initiative is… and I just knew there was a catch after they were denying dying people the info, so, I went to look up food allergy labeling laws and sure enough the limits are a lot lower (I was surprised they weren’t zero). After leaving comments on so many fb posts over the past days, it became easier to just put a post together here to refer people to. That’s one of the problems, people are willing to be happy with a tiny concession. We all need to read the even tinier fine print of what they are not telling us. With so much doublespeak and so many alternative facts, we really can’t trust many who are making money from something. I don’t know any tutorials but a while ago I saw something where like every other letter was missing in the words of a paragraph and you could still read it. So I know what you mean. I don’t remember where I saw it though. We do the same thing filling in the “gaps” all the time when talking to people. I don’t get the “Smart Label” thing. All the ingredients should be ON the packaging. The consumer should not have to take extra steps to find out what the ingredients are. Also, I wonder about people with severe EMF sensitivity who can’t look things up on a computer. I agree that this is a good first step and much more needs to be done. So much more. I remembered people talking about a proposal to put GMO ingredients online instead of on labels, and needing an app (and wireless device) when shopping, and when I looked this Unilever thing up, it was the Grocery Manufacturers Association’s app, the same group that had put so much effort and money into fighting GMO labeling. The high 100 ppm limit makes more sense in this light too… they are still trying to hide things that can and do have profound adverse effects on us. Also, Unilever should really take Axe off the market already! Disclosure will not help the fact that this stuff is really toxic. I have just been informed that 20 ppm is way too high for safety with many ingredients. For example, methylchloroisothiazolinone (MCI), a biocide/preservative, is also used as a fragrance ingredient. People with isothiazolinone allergy react to as little as 3 ppm, perhaps less. Also, the press release said they had completed their disclosure, but many products I looked up had something like “coming soon” instead of the ingredients for fragrance.